1 in 6 Americans are hungry this very minute. Many people believe that the problems associated with hunger are confined to small pockets of society, certain areas of the country, or certain neighborhoods, but the reality is much different. 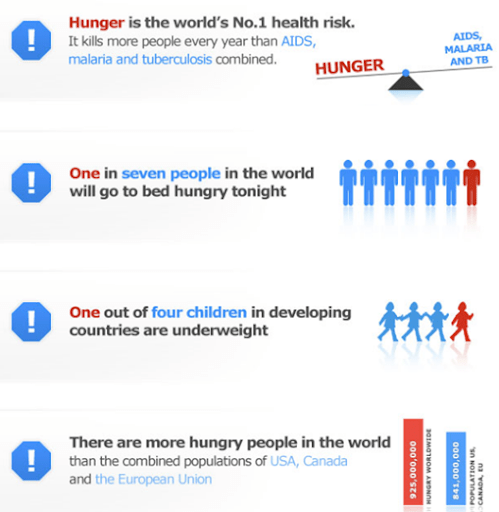 It’s time to educate ourselves about the causes of hunger in America and the world. We have the power to help reduce these numbers and to help our nation and other nations. The most effective way to help is to donate food to your local food banks. Better yet, donate a few hours once a month to help stock, sort and hand out food. There will never be a time where a food bank has enough food or support. With the starvation rate increasing on a yearly, monthly and daily basis, food banks are becoming over whelmed with the amount of families in need. These food banks are closing and families/individuals are being turned away. Our nation MUST do better than this! The idea behind Project Feed Me is simple: DONATE FOOD ITEMS. This is an 8 week project that will have weekly check ins and themes. I want each and every one of you to join with me and to help reach out to those that need it the most. Each weekend I will be posting a “theme”. It will make this project fun, exciting and maybe even challenging. If you have a blog, tumbler account, twitter account, face book account or any other social media platform I encourage you to add the Project Feed Me button to your page! Your homework: to recruit 5 people to join you and this project! I will be posting numbers on a regular basis. Last time I did this we had 500 donators… let’s try for 1000!!! I know we can do it!!! Project Feed Me Sign Up Sheet! 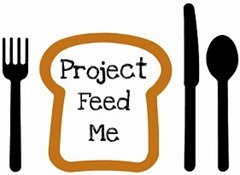 Please be sure to fill out the information for Project Feed Me! And remember to recruit 5 people – WE CAN MAKE A DIFFERENCE!